In Seoul, entering the Gyeongbokgung and climbing the Namsan Tower, sure is not free. But you can visit the National Palace Museum near the palace to see some records from Joseon Dynasty. If you come in the right time (once in 30 minutes), you can hear the big self-striking water clock Jagyeokru’s bell inside the museum or watch the Changing of the Royal Guard Ceremony at 11.00, 13.00 and 16.00 for free. If you like to watch the guardian changing ceremony, you can also check other palaces in Seoul, and watch the Beacon Tower Lighting Ceremony and cultural performance in Namsan Park. Speaking about Gyeongbokgung, if you can book it in advance, you can also join the Cheongwadae Tour. Because you are already there, you can also visit Gwanghamun Square and King Sejong Museum under the gigantic King Sejong statue. After that you can stroll along the stream of Cheonggyecheon and see the Wall of Hope and take a photo in front of the Cheonggyecheon Spring and visit the main office of Korean Tourism Organization for some traditional game experiences and photo with hanbok and cardboard Hallyu stars. More walking will get you to Insadong for Korean merchandise sightseeing then go to Bukchon Hanok village to take photos in front of old Korean family houses. You can say that, the hustle bustle in Seoul making people forget about Incheon. Actually there are some places worth the visit in Incheon. One of them is the Incheon Station-Wolmido Island combo. When you drop off in Incheon Station, across the street there is Chinatown. You can visit the Chinatown to see a speckle of China in South Korea. You can see the Paeru gate, the mural street, also can try the Chinese dress in the cultural center. Back then that area was Korean main port, so there are many preserved old building. The former Bank of Japan, Korean Post office, and many more, some of them are still being used as museums, perfect for history buffs. For visiting though, 500 Won need to be spent. For art lover, you can also visit Incheon Art Platform, sometimes they have exhibition there. Over the hill there are also Jayu Park with General McArthur statue, the first western-style park in South Korea with its General MacArthur statue and the Korea-America Amity Monument. In the evening, you can go to Wolmido Island, either on foot if you dare, or using the bus. You can walk through the Wolmi Culture Street with its Collonade of Light while looking at the sea. 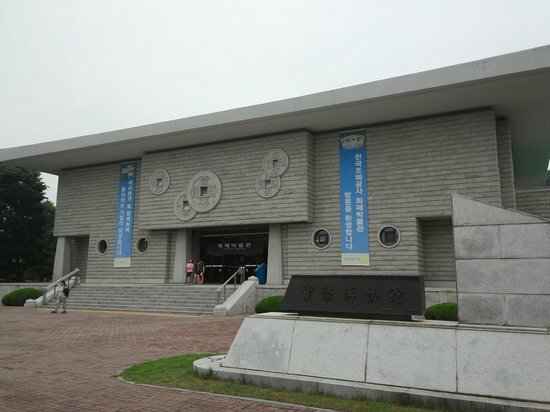 For you museum enthusiast, there is also Korean Emigration History Museum. Free entrance with audio guide included, you can see why there are many overseas Koreans now. They also have a corner for sending postcard with your message for Korean descent abroad. Walking through Korean Traditional Garden with many traditional-style pavilions, surely will be good photo session. In the end of the day, you can visit the Wolmi Observatory to see the west islands on the horizon, the vessels in the Incheon Port, and downtown of Incheon. All the free places I already mentioned are located around Incheon and Seoul Area, but hey, we live in Daejeon, and maybe you want to try these tours by yourselves. My recommendation is the ‘Science Area Combo’, because it is located near KAIST. 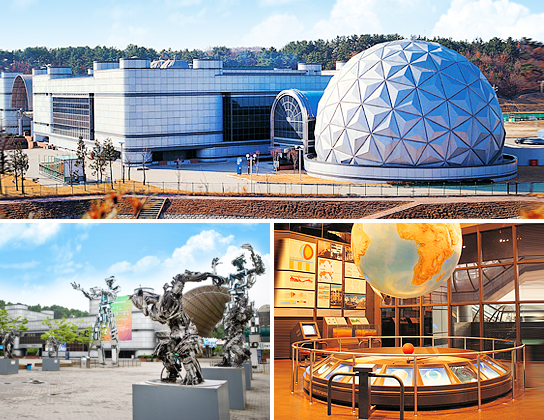 There are many science museums in Korea, and one of them located in Daejeon. It is supposed to be 1000 Won, but I already visited it twice with the attendant giving the ticket nicely, so I put it here. You can visit the Permanent Exhibit Hall, Science Alive Hall and the Space Hall. In the Science Alive Hall, you can play with the flight simulator, the virtual reality, the dark maze, the laser hallway, and many more. For you fortunate soul with height less than 150 cm, you can also try the astronaut simulation. For additional fare of 1000 Won, you can watch exhibition in the planetarium. Sometimes they have special exhibition that can fare a bit more. In walking distance and some asking, you can visit the Currency Museum and Geological Museum. You can see the history and making of Korean Money, the safety precaution and others there. You can also see currency from all over the world. In the Geological Museum, you can see how to get the fossil that we usually see, the Earthquake test system, and dinosaur bones to take photo with. The last in the itinerary is The Daejeon Observatory. It is located uphill, so you must walk first. It can be visited from 14.00 until 22.00 and they conduct visits for every hour, starting from the main hall, the open hall, then the planetarium, so you must wait if you don’t come in the right time. While waiting, you can visit the mini hall, there you can use the scale to know how much you weighted in other planets in our solar system and in the sun and moon. In the main hall, you can use the main telescope, usually for seeing Jupiter or Saturn. In the open hall, you can use the 5 small telescopes to see prominent sky object in that day. You can also hear the explanation about the constellation appearing in that day in the planetarium. Unfortunately, they cannot speak English, so all the guides and the planetarium show are in Korean. Actually there are much more free-to-visit places in Korea other than places I mentioned in the article. For you lover of some strolling in the park or hiking, you can visit many parks and hiking courses South Korea has to offer. 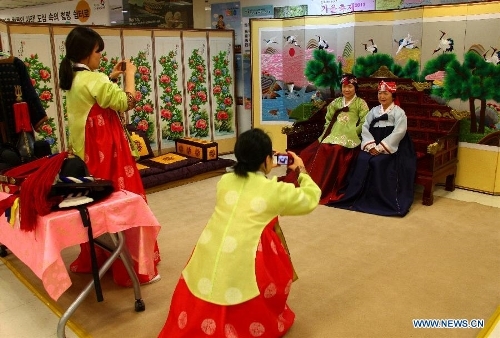 There are many festivals in Korea held in every month. Most of them are free. Just don’t forget to circle the date and come to the place early. Visiting the Tourism Information before you go is always free, not to mention sometime you can grab some booklets and postcards for some keepsake. If those all aren’t your cup of tea, there are always free hug and free drinking water. And you know, window shopping is always free.